If you haven’t seen this movie it is ABSOLUTELY worth checking out. It also has an incredible soundtrack WHICH, we shall share one of the songs here. 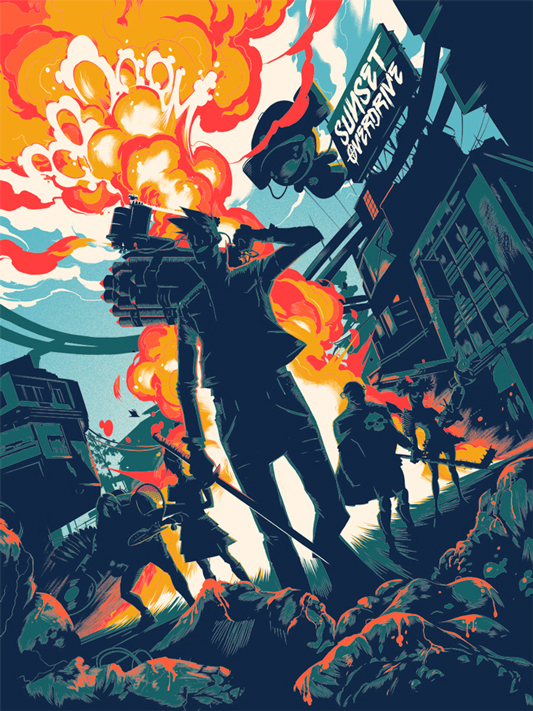 The other print being offered is a beautiful tribute to Insomniac Games upcoming post apocalyptic action game, “Sunset Overdrive.” Matt Taylor has brilliantly captured the essence of the game with this colorful print. WHAT? You don’t know the game? Well watch the trailer and start jonesing for it like the rest of us! Follow Mondo on TWITTER for the on sale announcement of these prints and best of luck! 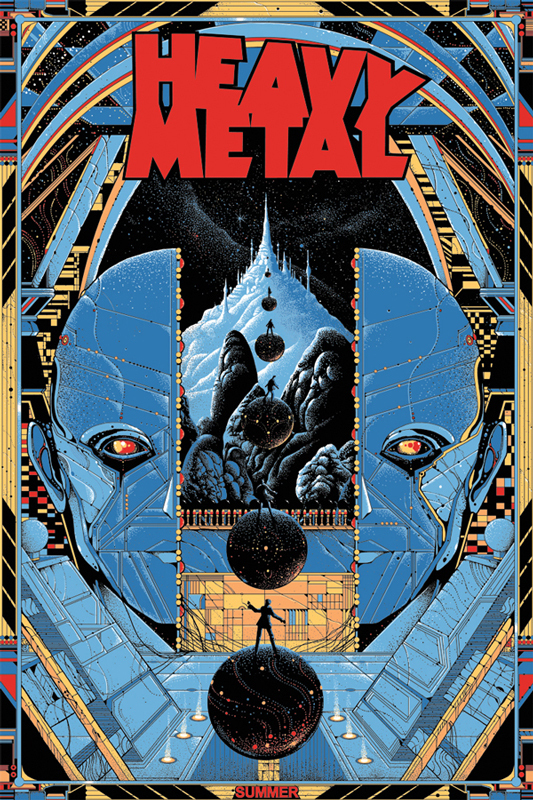 This entry was posted in Comic Con, Mondo, Movies, Posters, Trailers, Video Games and tagged animated cult classic, Heavy Metal, Kilian Eng, Matt Taylor, Mondo, on sale info, posters, Sunset Overdrive, Video Game. Bookmark the permalink.